Three Tips for Programming Your Thermostat This Spring | Horne Heating and Air Conditioning Inc. The buds on the trees are popping open and the grass is turning green. 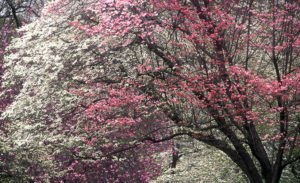 There is so much to love about the Charlotte area as Spring approaches. Along with all of the bees and blossoms, come fluctuating temperatures and unpredictable storms. Keeping the inside of your home a comfortable temperature and saving energy all season can be achieved with proper programming of your programmable thermostat. Below, are some suggestions to help you program your thermostat for maximum comfort and savings this season. Begin the season, by adjusting your thermostat to your family’s schedule. Most programmable thermostats will allow you to program different cooling settings for each day of the week. Perhaps your kids are involved in sports and their practices and games have you coming home later in the day than in winter. Maybe you take advantage of warm weekends with lots of activities that keep you away from home. If this is the case, running your HVAC when you are away is wasting energy and money, Think about your weekly schedule and program your thermostat to suit your needs. Today’s thermostats allow you to program the settings according to occupancy and activity levels. Now, you can achieve ideal indoor temperatures both day and night. When the weather turns warm, program your thermostat to a minimum of 78 degrees when you are home or when you wake up in the morning. Set the temperature higher for other times. This schedule is proven to reduce energy consumption and save money. When a spring heat wave arrives or a rainstorm blows in, take advantage of your smart thermostat and rise to the challenge. These devices can access local weather and adjust humidity and temperature settings to handle whatever weather comes your way. If a sudden weather event has you changing your plans, use your smartphone to adjust your thermostat from your work or your child’s ball field and have a comfortable home waiting for you when you arrive. 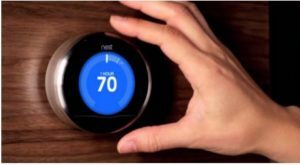 If you have any questions about programming your thermostat or are thinking about upgrading to a smart device, give Horne Heating and Air Conditioning a call at (704) 393-3273 or visit the web www.hornevac.com. We are always available to answer your questions and assist you with any of your heating and cooling needs.